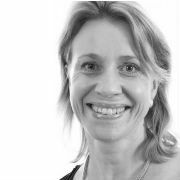 Before joining Trinity Laban Conservatoire of Music and Dance as Dean of the Faculty of Dance, Sara was Director of the Central School of Ballet for 7 years and danced with the Rambert Dance Company for eleven years. During this time in she performed in all of the Company’s most famous repertoire working with, amongst others, Sir Frederick Ashton, Richard Alston, Christopher Bruce, Merce Cunningham, Jiri Kylian and Ashley Page, as well as performing in works by Anthony Tudor and Glen Tetley, In addition, Sara appeared as a guest artist with the Mark Baldwin Dance Company as well as undertaking professional teaching and choreographic commissions. On leaving Rambert Sara established the post of Dancer-in–Residence at Queens College, Cambridge which she held from 1996 to 1998.